My first impression of this Sparkman & Stephens 30 1979 was her impressive layout and striking eight winches around the companionway, in front of a good sized cockpit. She boasts a 3.1 metre beam, delivering great deck space which seems well looked after and allowing for a generous interior layout with easy access to the engine batteries and tanks. This is the best engine access I have ever seen on a boat! The interior of this boat will need some love/completion and electrical items need attaching, but she's a great space to make your own and seems dry and relatively fresh. 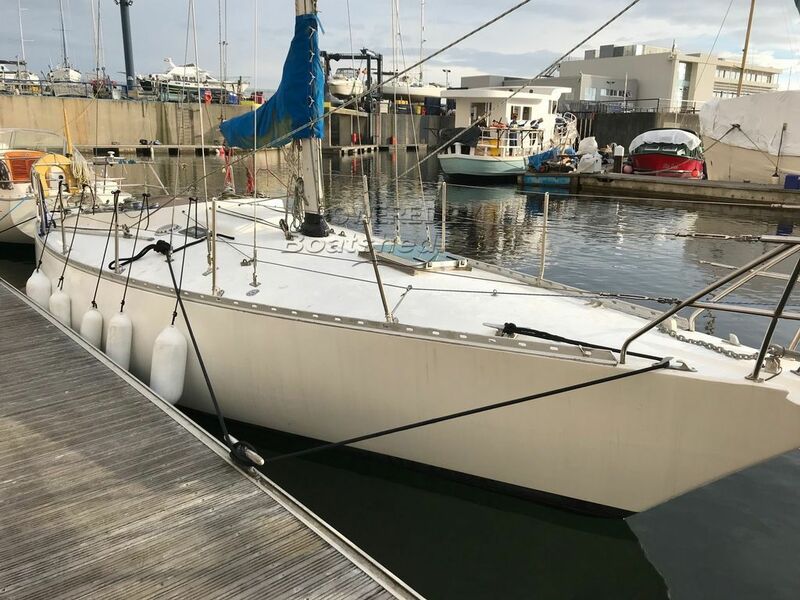 This classic branded sailing boat deserves a look, and could be ideal for couples, singe handed or families wanting to cruise or, if you're happy with leaving her interior as it is - or even stripping her out - she could make a great racer. This Sparkman & Stephens 30 has been personally photographed and viewed by Josh Allen of Boatshed Brighton. Click here for contact details. Ahoy, the first question is what is the black foil at the mast's heel?